It appears, for their sophomore effort Stars Aligned, Finland's Stargazery fell back on the old adage, "If it ain't broke, don't fix it." Then added another American word of wisdom: "Go big or go home." 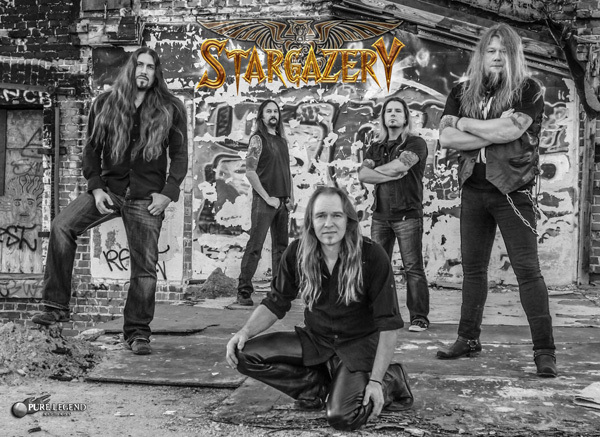 In this sense, first, Stargazery has stuck to their formula of classic mid-Eighties melodic hard rock with a metal edge. As I said about their debut album, they sound a bit like latter period Rainbow, only with the keyboards at the forefront more often. To the latter adage, these keyboards seem even more grand and encompassing. The riffs as well, and when put together, Stars Aligned has monsterous bombastic sound. Yet, groove, melody, and vocal harmony are never lost. Everything's just larger. Good examples of the more ambitious keys and guitar come with Bring Me The Night, Missed the Train to Paradise, and Painted Into A Corner, where the keyboards have an old school flair at the conclusion. While this motif abounds throughout, perhaps the best example comes with Stargazery covers Cher's Dark Lady. They easily trump the pomp of the original, and for their homeland fans they offer a Finnish version as a bonus track. 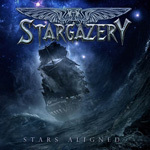 Fundamentally, Stargazery's Stars Aligned is all very engaging, entertaining and, often, seriously over the top, metal-edged melodic hard rock. Recommended. 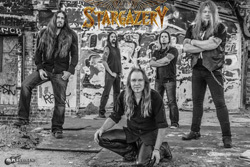 Fundamentally, Stargazery's Stars Aligned is all very engaging, entertaining and, often, seriously over the top, metal-edged melodic hard rock. Recommended.